Cell phones, a simple device to communicate. No, it is not that simple anymore. Today cell phones can do a lot more! It can perform almost all tasks that your computer does. If they are customized the price can go a lot higher than most of our imaginations. 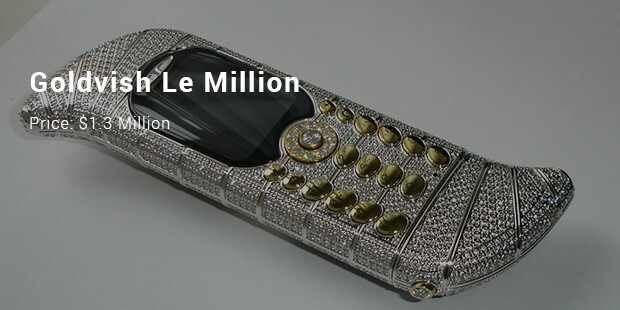 Following are the world’s most expensive cell phones which are studded with expensive gems and stones. This is the most expensive phones in the world. It has a handmade bezel, with near about 500 individual faultless diamonds. The main navigation is made from platinum which holds a single cut 7.4 ct pink diamond. This phone was designed by Stuart Hughes for Tony sage. 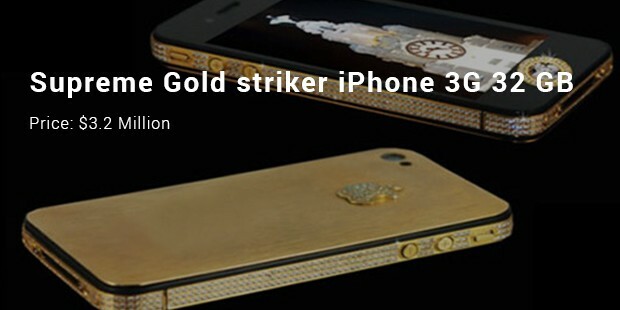 Supreme gold striker is the second most expensive iPhone in the world. This Midas-touched mobile phone was made in Liverpool for an Australian businessman; it is made from of 22kgold and 136 diamonds. The navigation button of this iPhone is an uncommon 7.1 carat diamond. 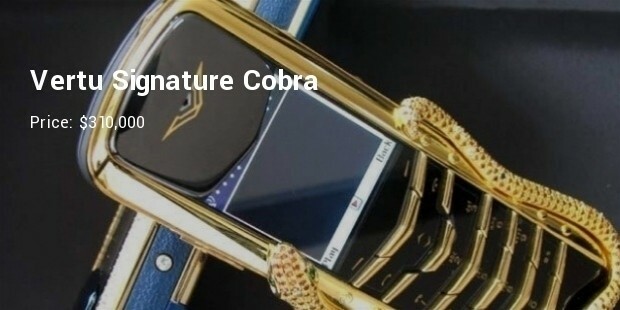 Austrian jeweler Peter Aloisson created this expensive phone for himself. 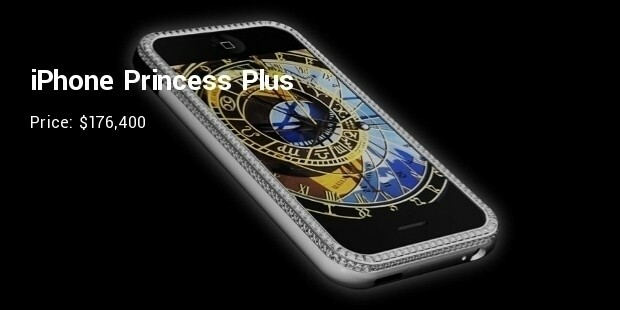 This apple iPhone 3g king’s button main, has a high class 6.6 carat diamond. 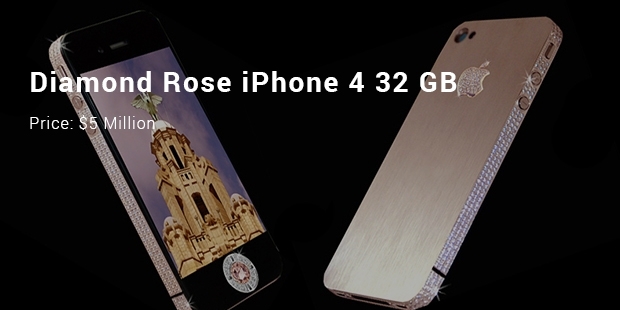 This phone is made from solid 18 carat yellow gold, white gold and rose gold. The Goldvish Le Million is manufactured by Swiss company GoldVish S.A. The phone was designed by Emmanuel Gueit. It has 120 carats diamonds on the top and is covered with diamonds and at least 140 grams of solid gold. 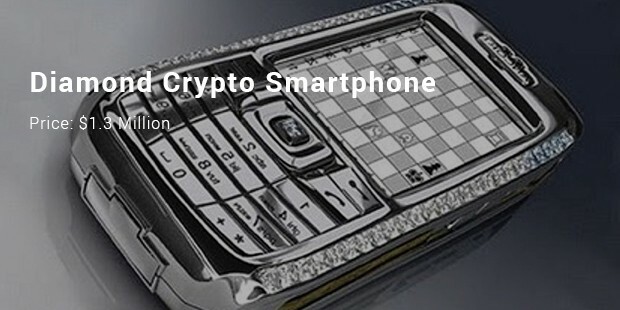 This diamond cryptic smartphone has all parts casted with solid platinum 950. The keypad consists of solid platinum and engraved with hand colored. This product is available for black rhodium with black and shiny look. Gresso is known for offering expensive and handy smartphones. This model will be manufactured only in three units. The phone comes with black diamond front cover and 200 year old African Blackwood in the back. The mobile weighs 32k. This phone comes with only 1 mb of internal memory, but has no camera or touchscreen. Designed by French jeweller Boucheron, there are only 8 phones in the market. It also contains one pear-cut diamond and one round white diamond. This phone is designed by Jaren Goh, Singapore artist and has two diamonds fitted to its exterior. 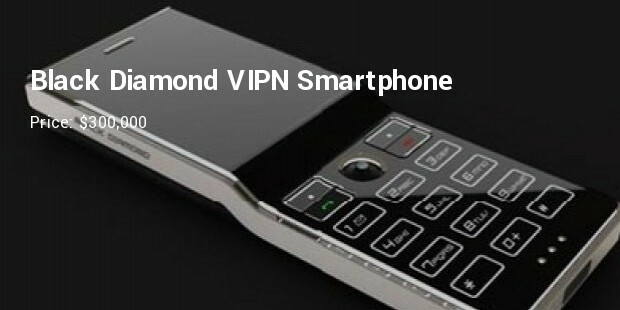 The phone also features 2.1 inch touch sensitive screen with 2 GB SD Card, Wi-Fi and smoothly operates with Windows Mobile. This phone carries the similar features like other iPhone mobiles. 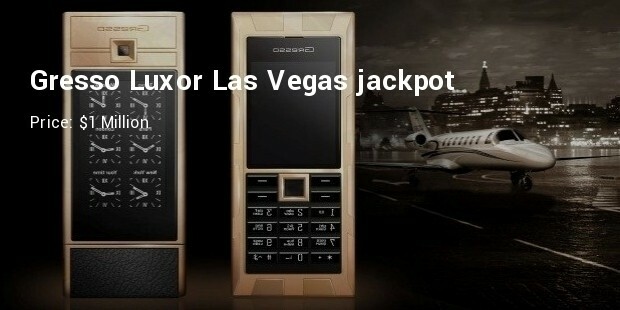 Designed by Austria's Peter Aloisson, this phone has gold and 180 diamond cut weighing 16.50-17.75.It is available in limited edition and is the most expensive one. These phones though highly priced but will define your status quite. They look fashionable and attractive with stones and gems. So investing in such phones won’t be a waste for sure!